Alexandra Bee Blog: Hot for Headbands! I'm gonna go out on a limb here and guess that many of you preppy readers love headbands as much as I do. Am I right?? Well....assuming I AM right, today, I'd like to share a fun, EASY do-it-yourself project with you: a headband display. I came across this craft a few summers ago when cleaning out my closet. 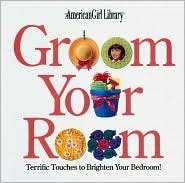 I found Groom Your Room, an American Girl book with tons of do-it-yourself projects made with everyday household items. I flipped through it and discovered some pretty cool ideas! This project is super easy, all you need is: tape, a hot glue gun, a roll of paper towels, and ribbon and fabric of your choice. Unroll the paper towel roll until it is the desired width (I'd get a headband or two to measure it; if you get the Super Rolls like my mom, it will be a bit too thick for your headbands to slide on). Wrap the paper towel roll with your fabric, making sure it is centered so the ends are even. Use your glue gun to glue the fabric down in place. I think I might need to make a second one! Since making this, 5 or 6 of my friends have followed suit! It is such a cute and easy way to store all my headbands! Do you wear headbands? 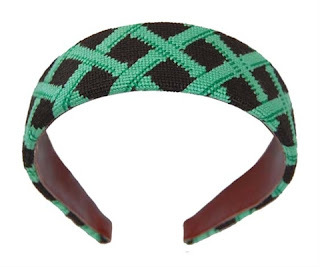 If so, do you have a favorite headband designer? How do you store your headbands? such a clever craft! i LOVE IT. because headbands are always getting away on me. good one, girl. I love headbands! I store mine placed in a vase. It's a great way to show them off. What a cute idea! This would make a good summer project :) I love Jcrew headbands! I had that book! Over the summer I was webshopping for the "headband holder" but I couldn't find any. Now I can just make one! Great post! Cute project! I love tortoise shell and Burberry headbands! I LOVE American Girl!!! I wish I could still get the AG magazine, but I feel like that would be quite creepy, lol. Cute craft idea!! I like to wear my hair in braids/clips most of the time, but I do like wearing headbands occasionally! I love the Kate Spade one in your post :) I usually find mine at Target and Forever21. Forever's are so cute, but they always seem to be a bit small for my head, and I end up with a headache. LOL right now all of my headbands are piled into a desk drawer. I definitely need to make something like this to organize them. Great idea! I love the Southern Proper headbands and the Kate Spade headband--so cute! P.S. Congrats on your Haymarket Design win! So exciting! These are all just precious and fun! What a great idea for a little project...thanks for sharing! What a great idea!!! I always loved how they looked but I always ended up with a headache. Hope you're having a great day and getting through that paper! Love your headbands and the ones you highlighted! Your headbands are so cute! I can not for the life of me pull-off a headband!! For some reason they just do not look right on me! Such a cute idea! I love all your pretty headbands! 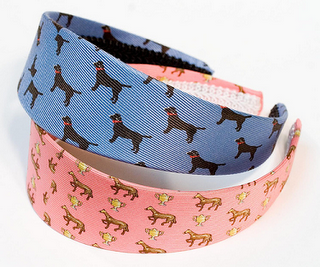 The Preppy Patchwork headband is my fav. I look heinous in headbands. 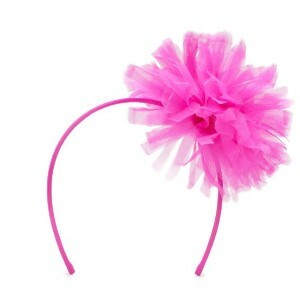 And I really hate the headbands that Sonja wears in Real Housewives NYC. I am definitely obsessed with headbands and totally owned that book lol. Goodbyes, Picasso, and a Birthday! Mother's Day & A Winner!